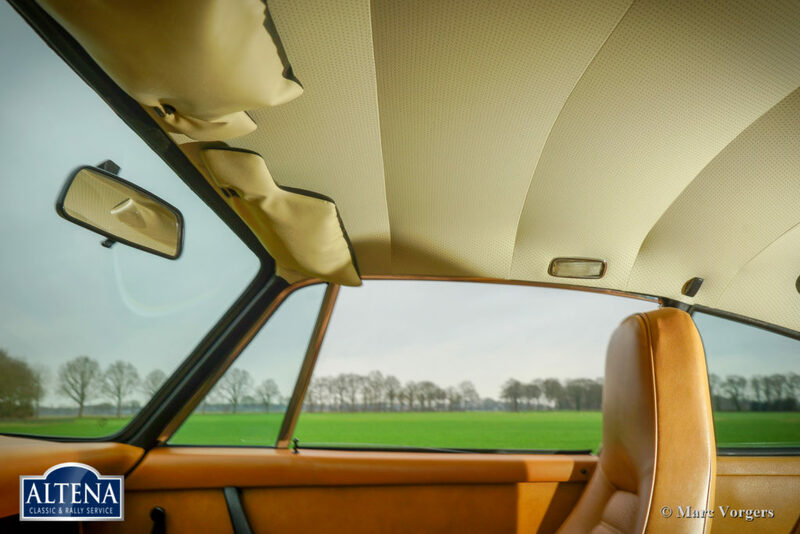 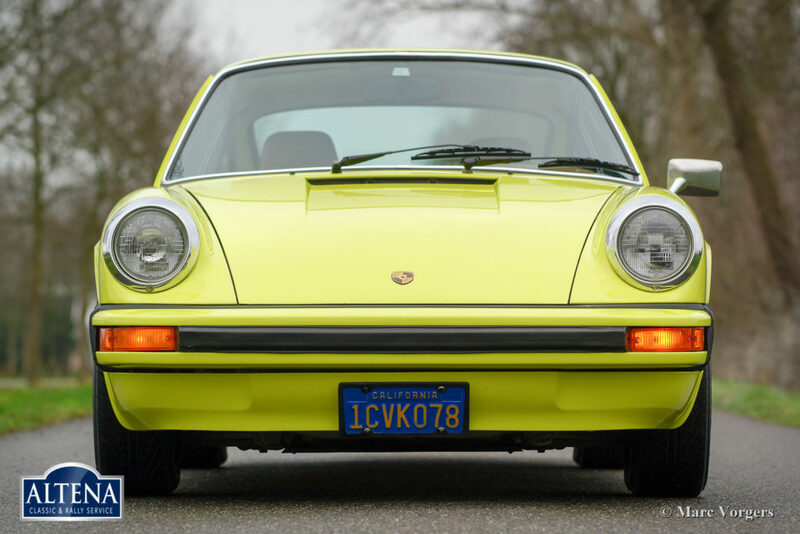 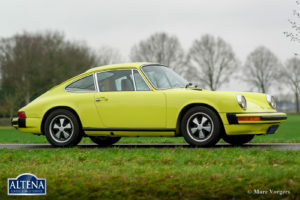 Porsche 912 E, year 1975. Chassis number 912600057X, engine number 406064X. 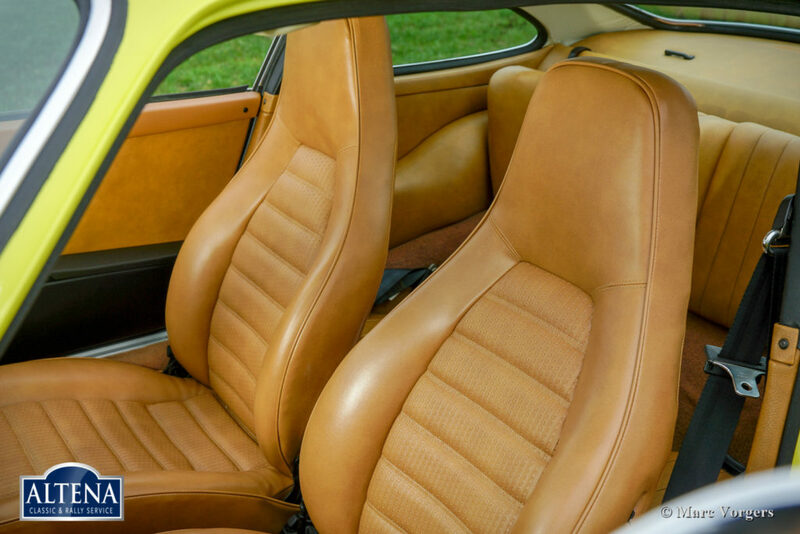 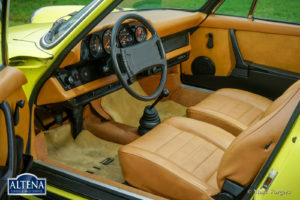 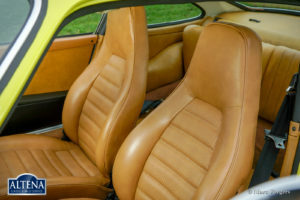 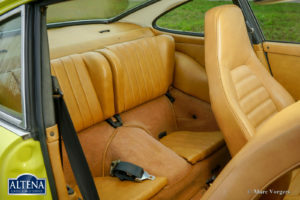 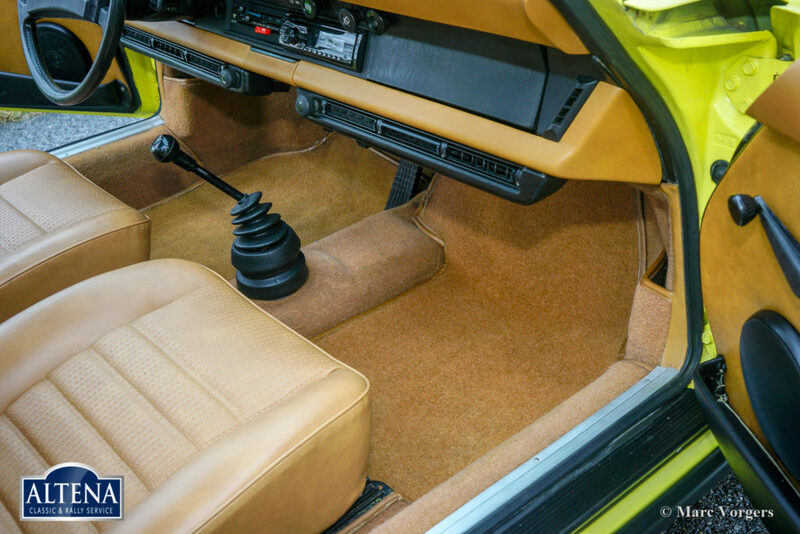 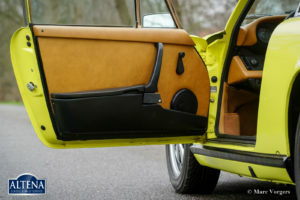 Colour lemon-yellow (colour-code 117-9-1) with a dark beige leatherette interior, dark beige carpet and beige protective mats with 912 inscriptions. 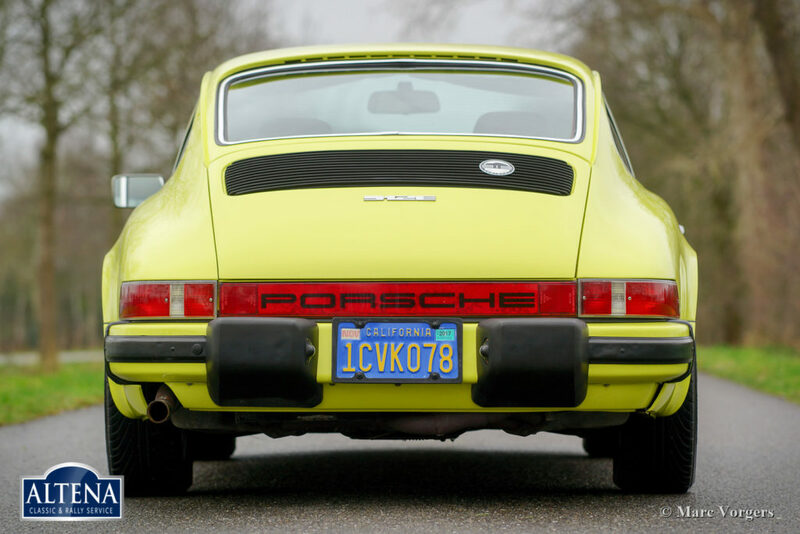 This wonderful Porsche 912 E was recently imported from California in the USA, the California ‘blue plates’ are still fitted! The automobile was sold new in Jacksonville, Florida. 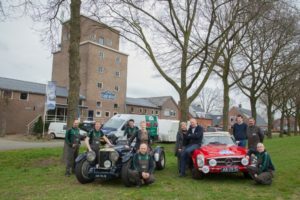 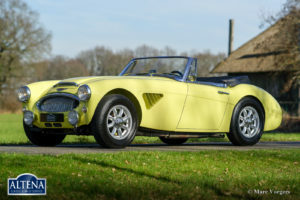 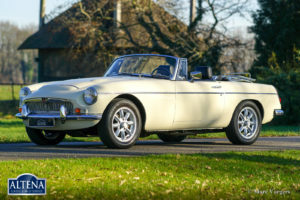 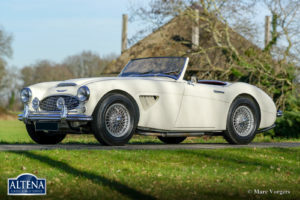 In the USA the car was beautifully and extensively restored; the car is in superb top condition and the car shows beautiful original details. 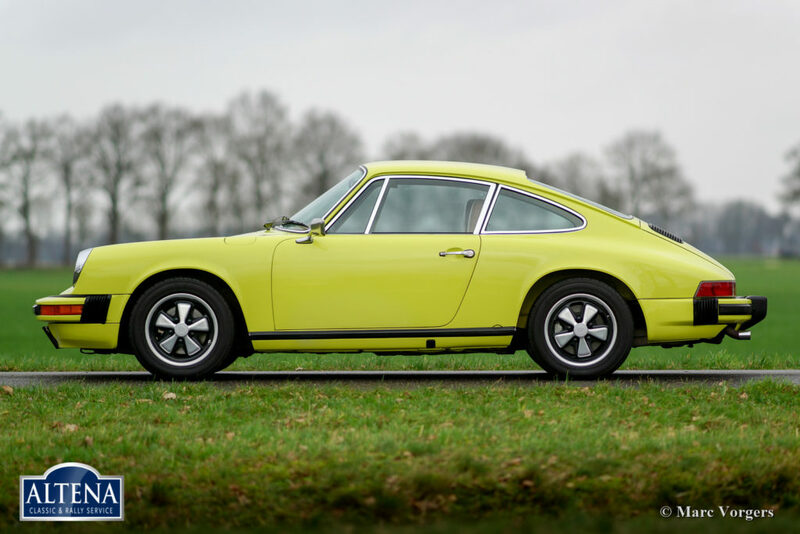 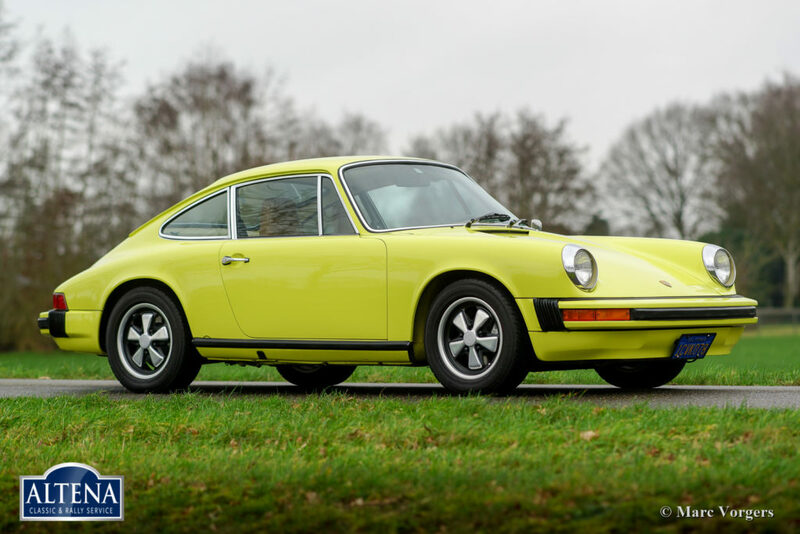 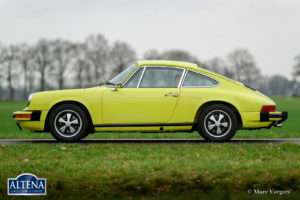 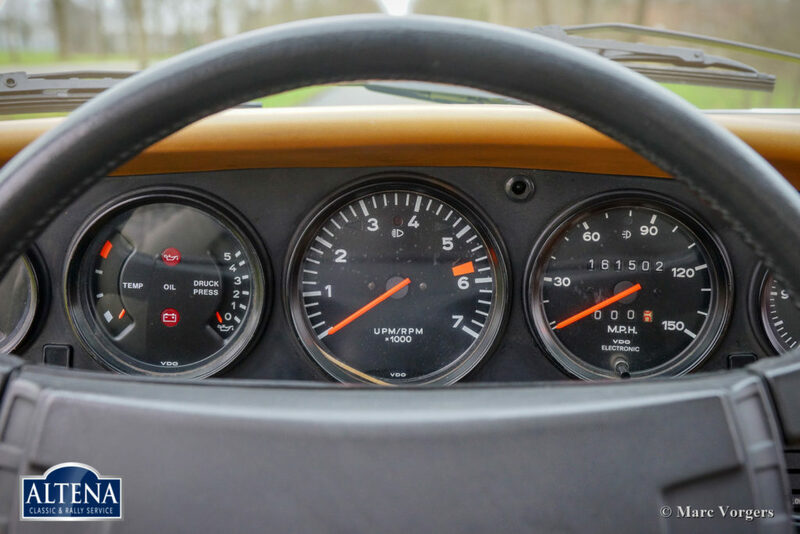 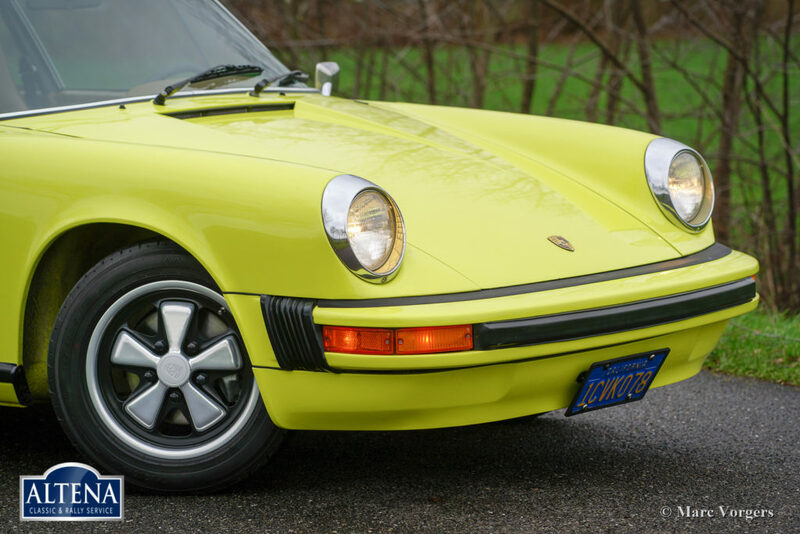 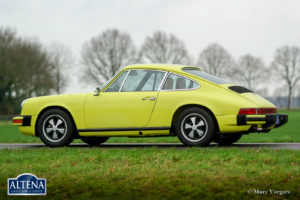 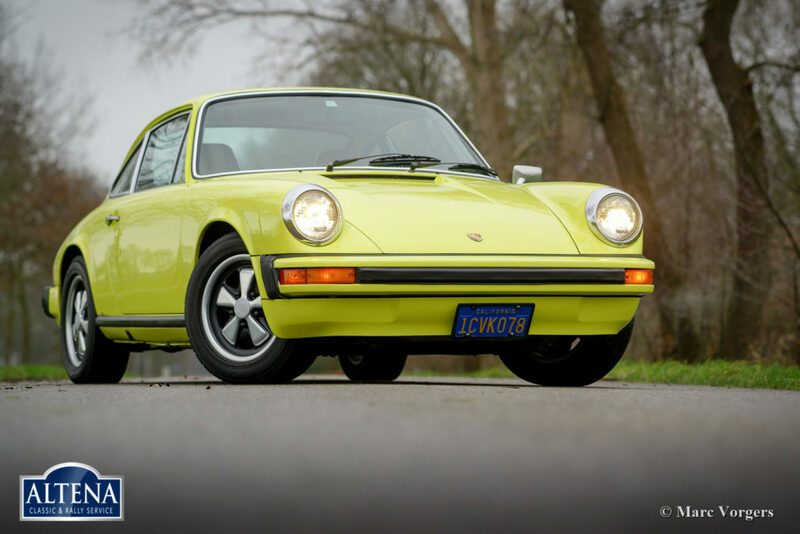 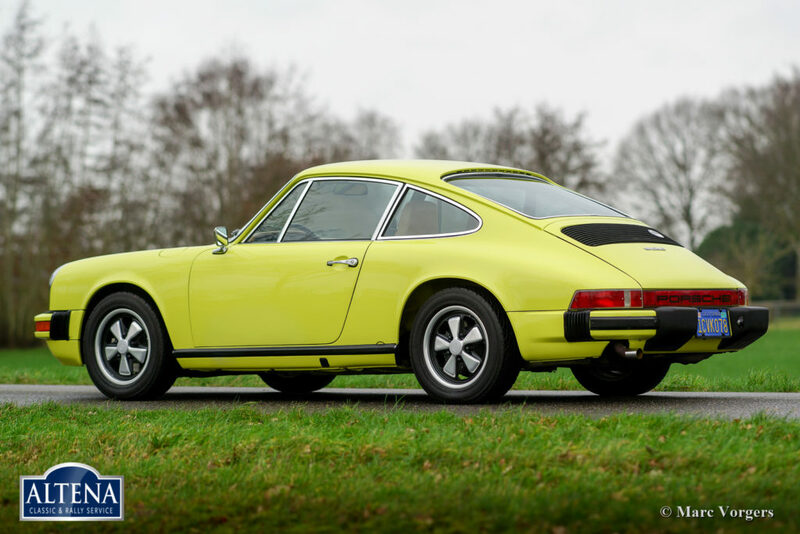 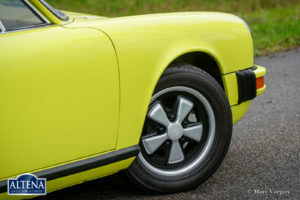 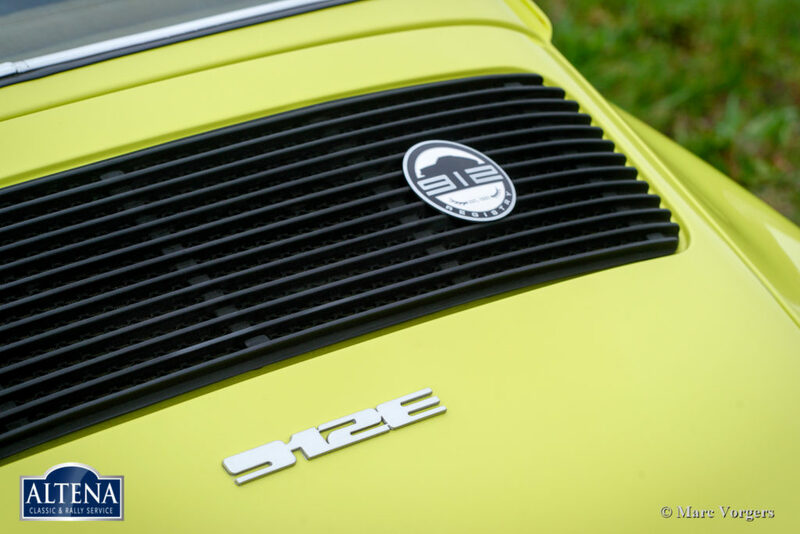 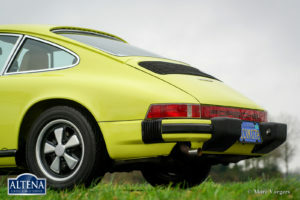 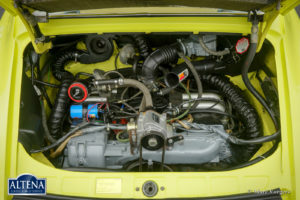 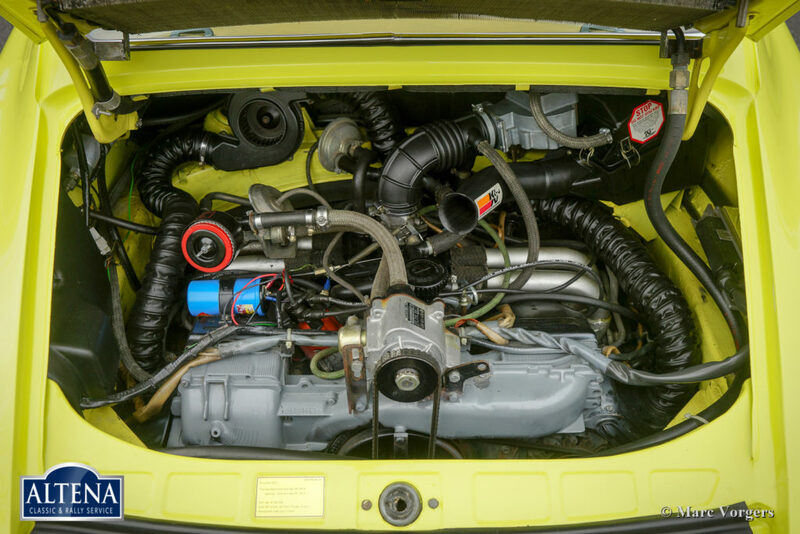 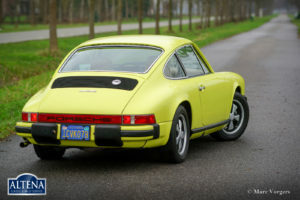 The Porsche 912 E (Einspritz / Injection) is a rare Porsche model, only 2000 examples were built in the years 1975 and 1976. 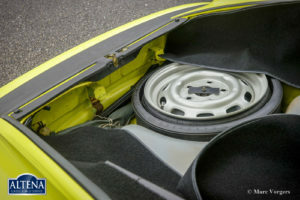 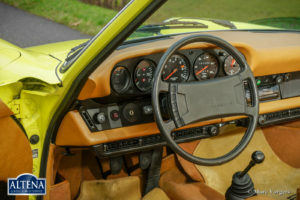 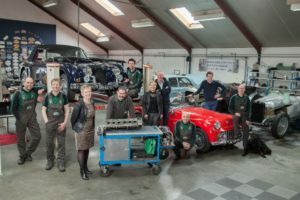 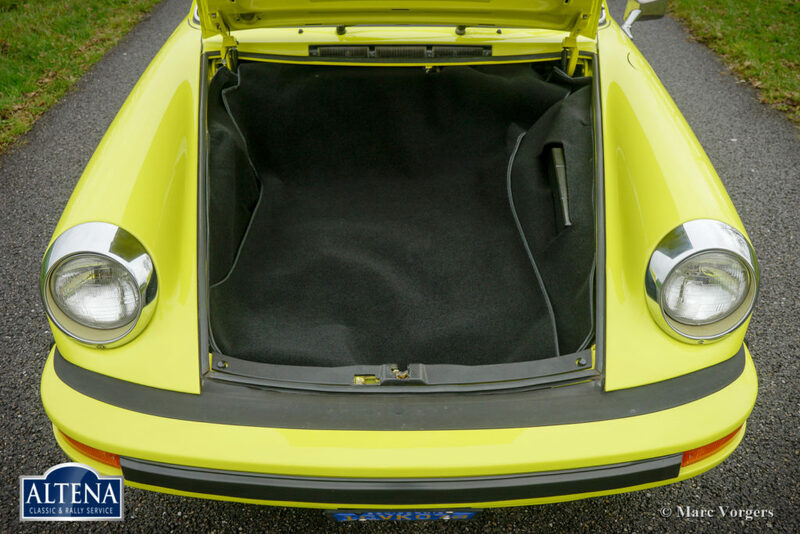 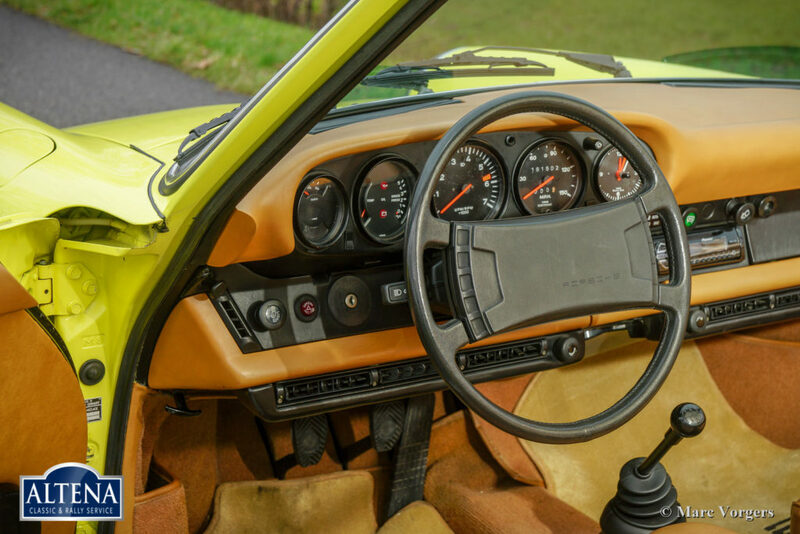 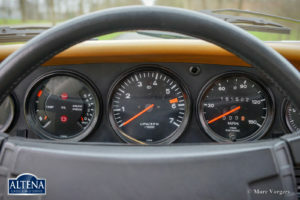 The car features 15-inch Fuchs alloy wheels and the original tool-set is present. 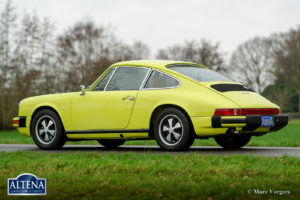 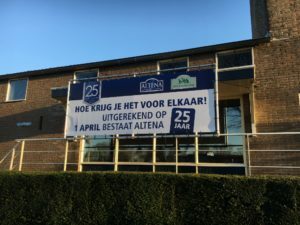 This is a top-example!